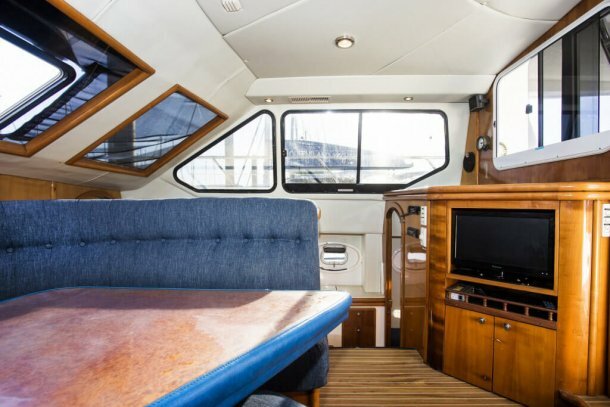 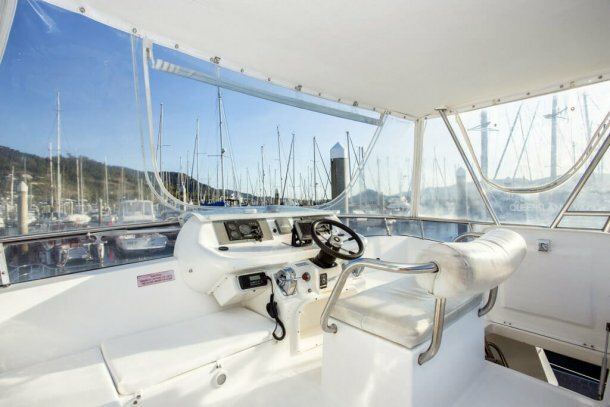 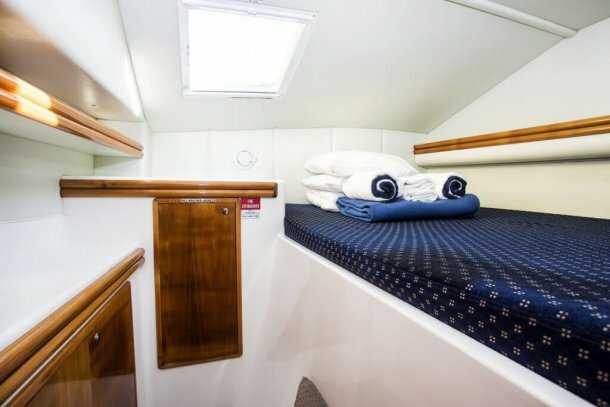 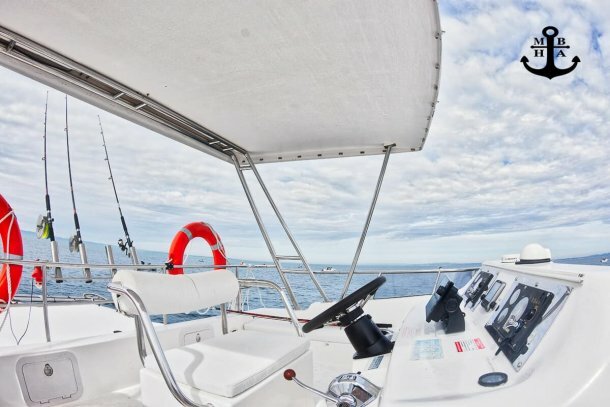 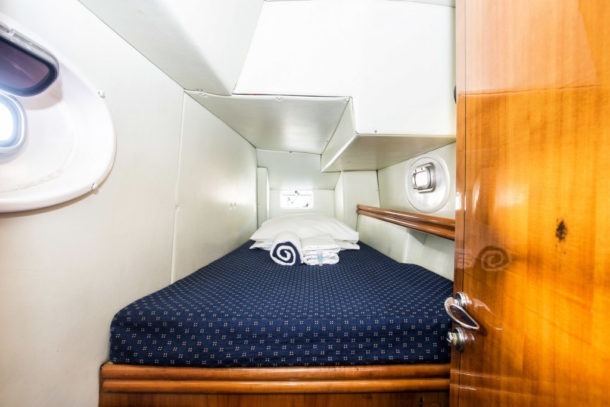 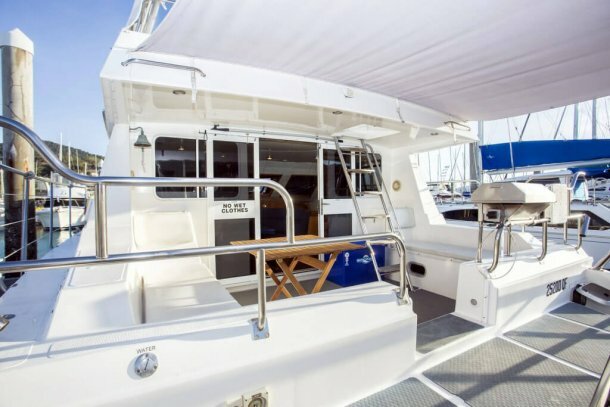 This comfortable Seawind Venturer 38ft Power Catamaran sleeps up to eight, with three cabins and one large bathroom, the forward cabins have double beds, the aft cabin is slightly smaller ¾ and the saloon will make another double. 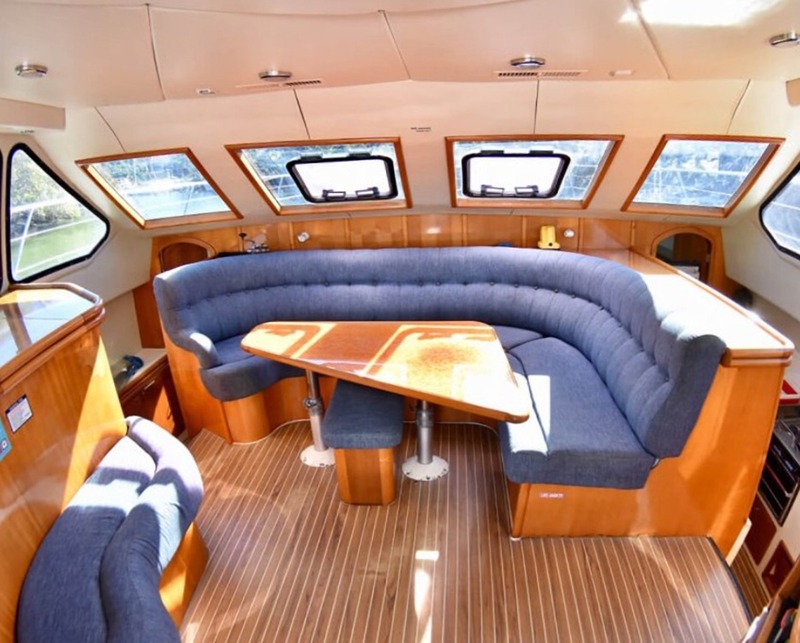 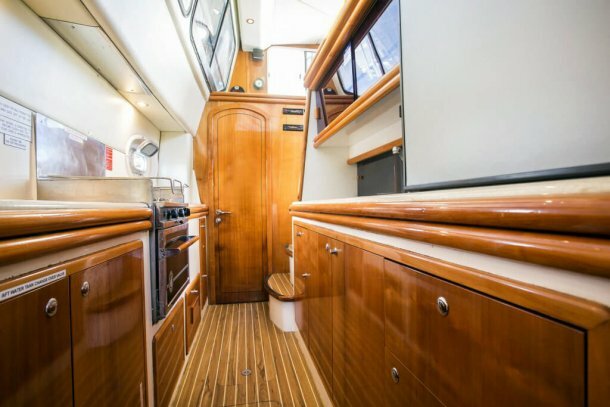 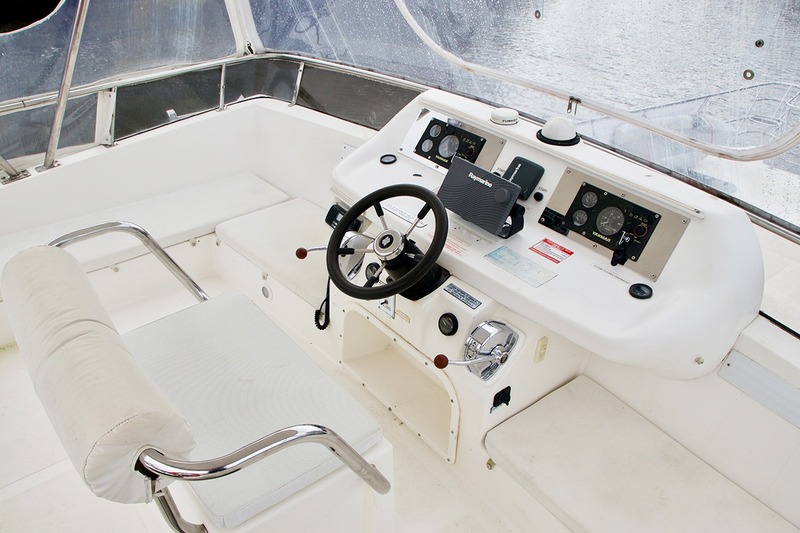 She has charm and ample head room and plenty of forward opening hatches. 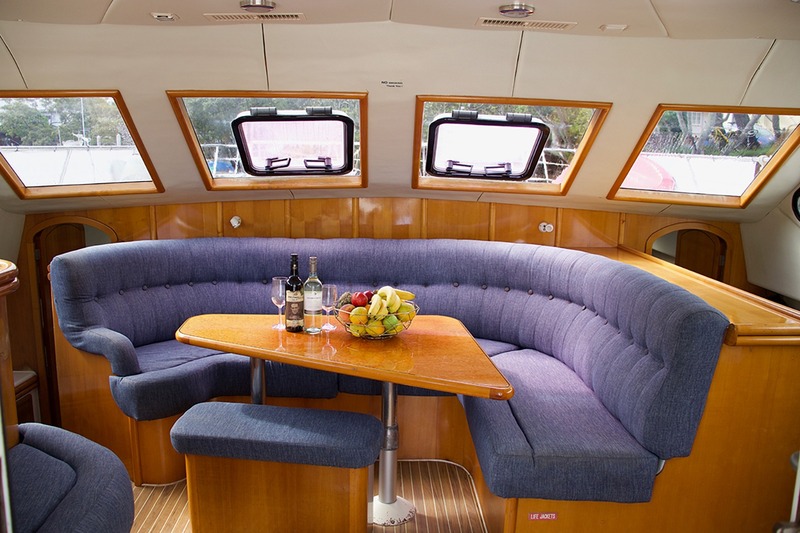 The covered flybridge makes for comfortable cruising. 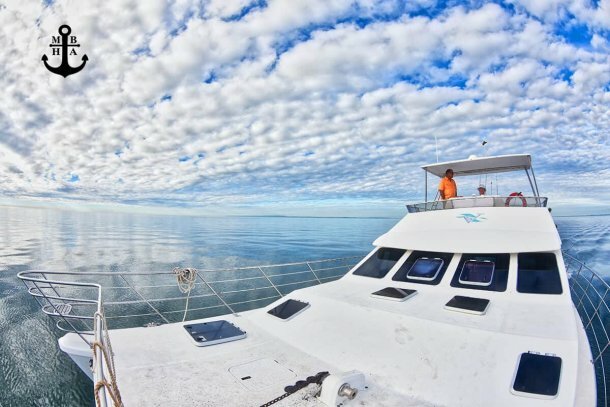 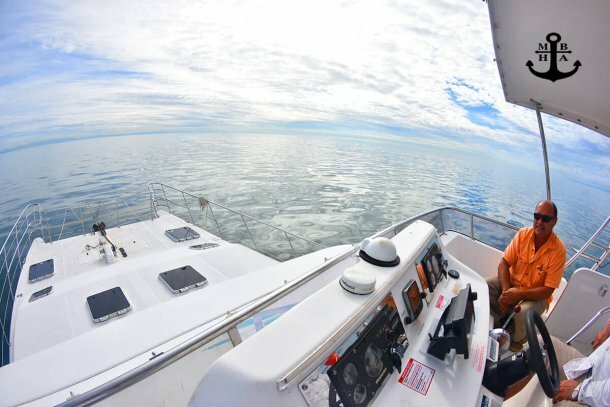 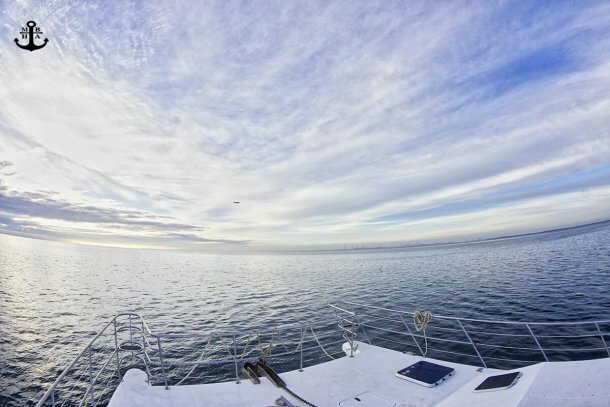 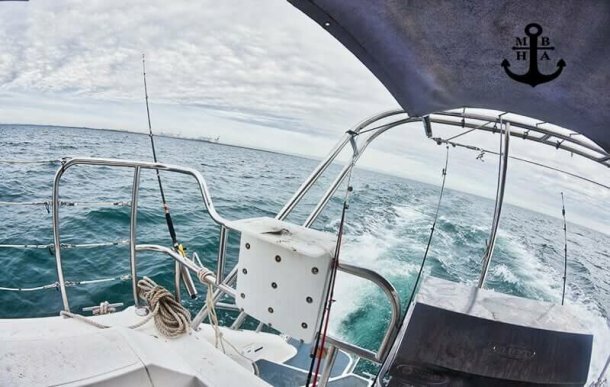 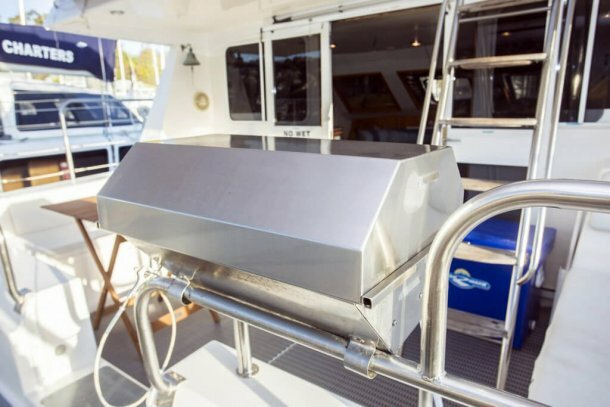 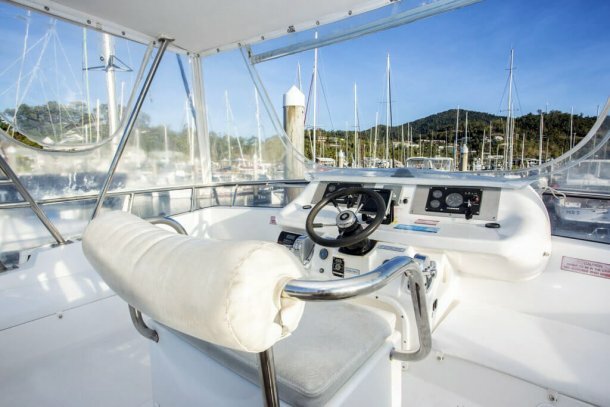 A fuel efficient comfortable catamaran. 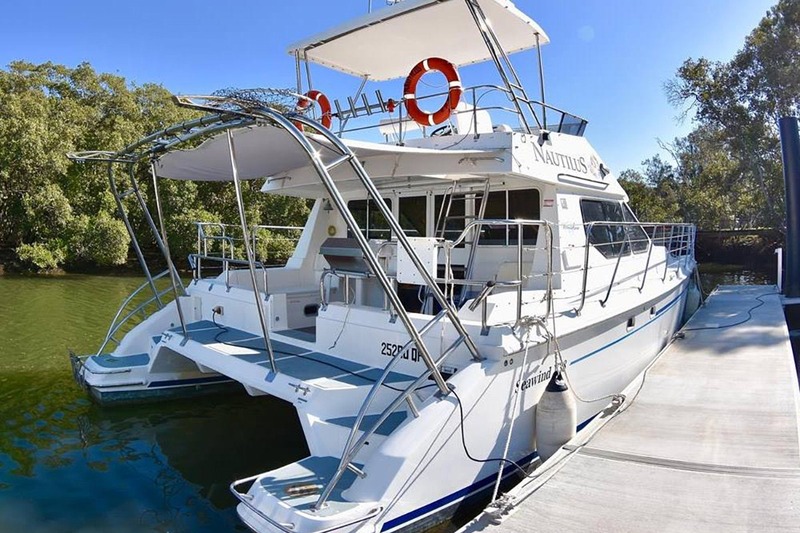 Suitable for two to three couples, two families and smaller groups. 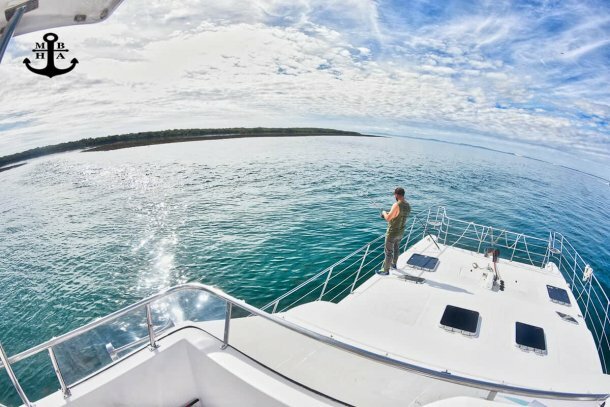 Accommodations will suit singles, two couples or your honeymoon. 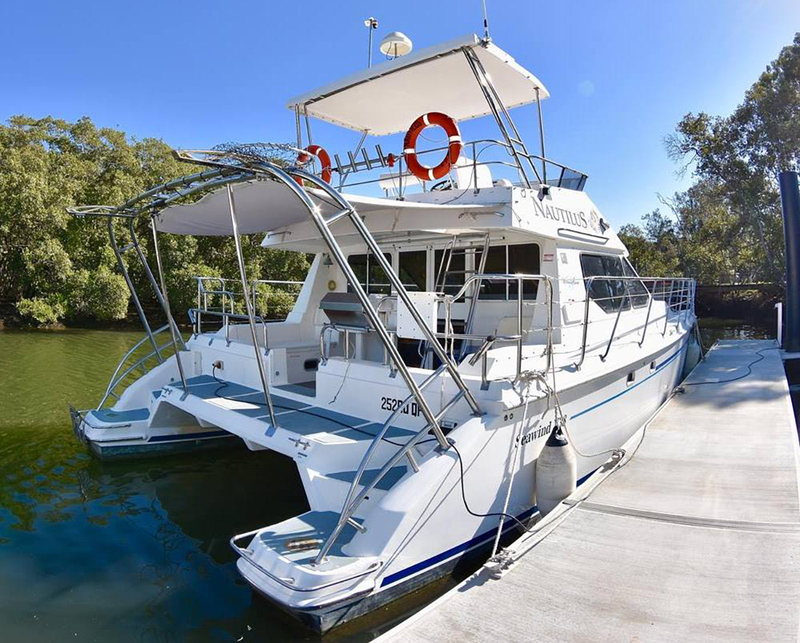 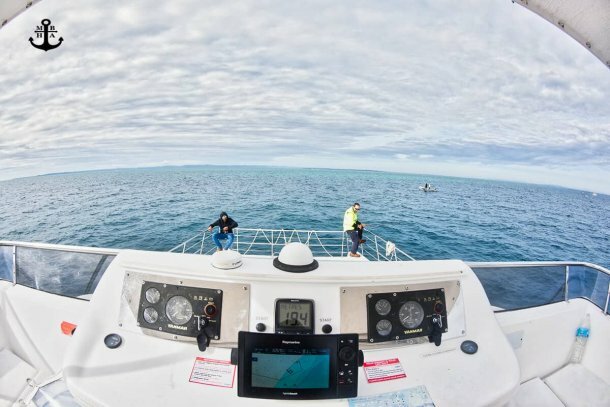 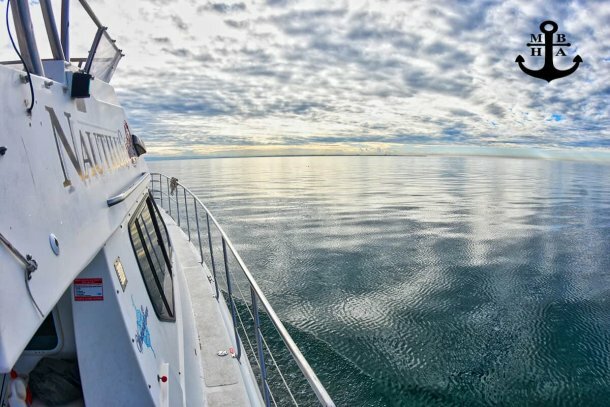 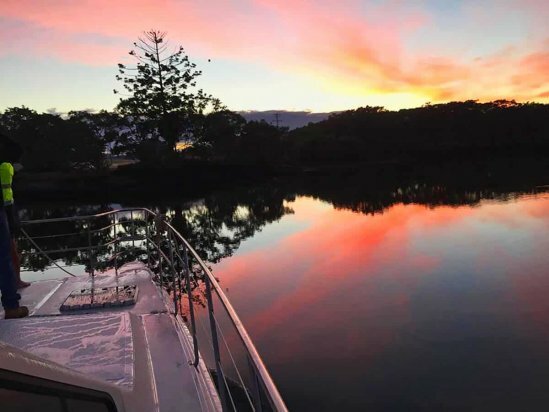 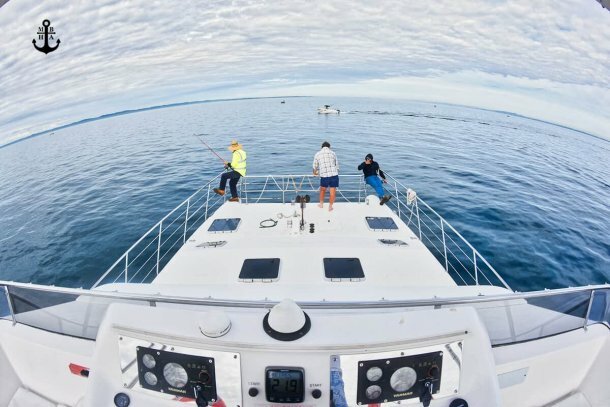 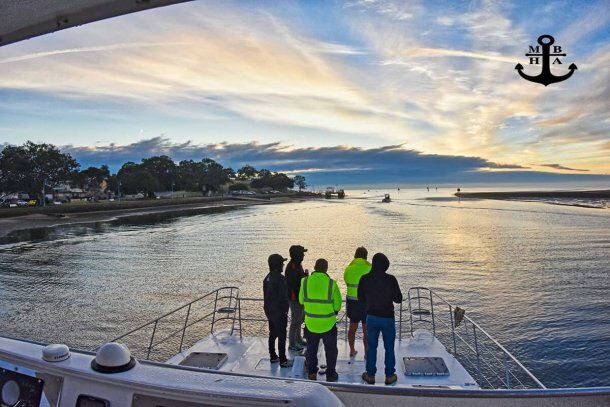 A fantastic choice for families or large groups, the Venturer 38 multihull motor cruiser is popular because it’s so liveable and easy to handle.